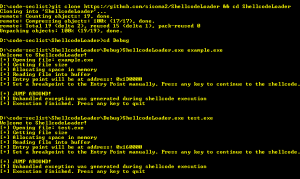 Browse: Home / ShellcodeLoader – Small tool to load shellcode or PEs to analyze them. 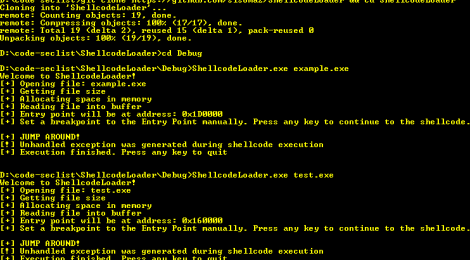 ShellcodeLoader has been built with the purpose to quickly debug a shellcode extracted in malware analysis in a context of an executable. 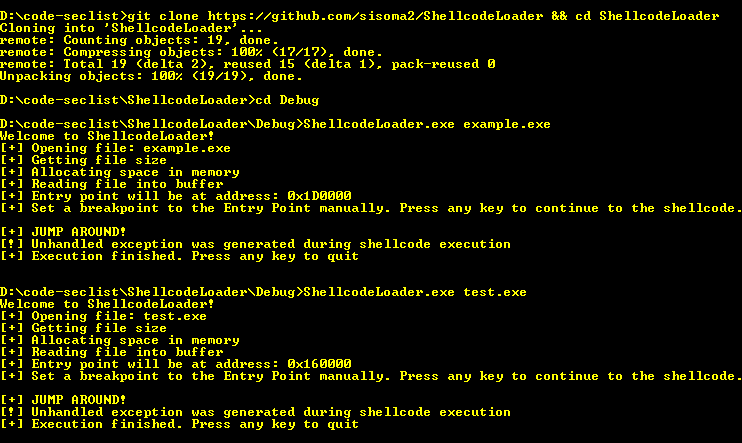 What ShelcodeLoader does is read a bynary file from disk to memory and jump to the base or an especified entry point to execute the file. The file example.exe it’s a shellcode embedded into a PE file but it acts as a shellcode. It traverses the PEB and searches the function MessageBoxA to show a HelloWorld message. It only works in x86. ← hBlock – Improve your security and privacy by blocking ads, tracking and malware domain.